Guest blogger and library volunteer Christine Bell shares her passion for bookplates and throws some light on the work she’s doing behind the scenes on some of our own collections. 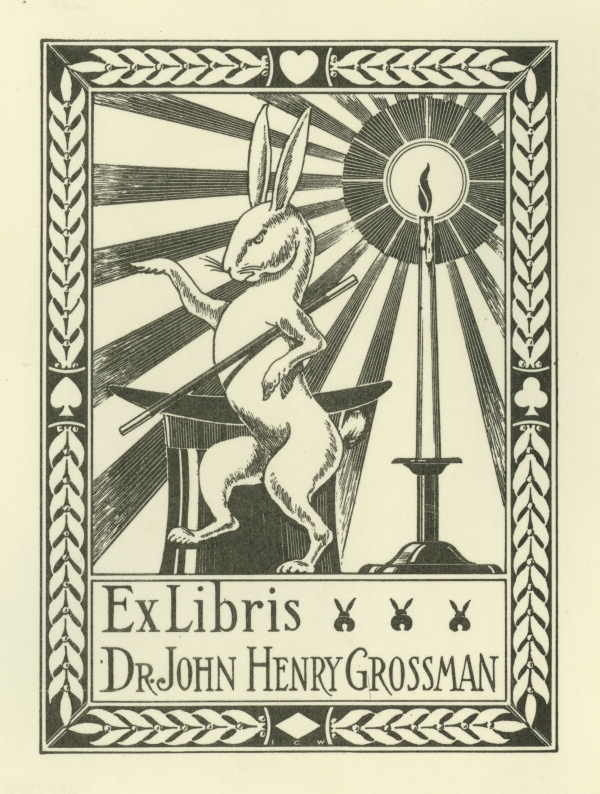 Bookplates, Ex Libris: what are they and why? 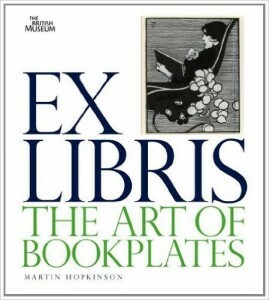 A bookplate, or ex libris, is a small piece of printed paper: bearing a name, it was a mark of ownership of a book. They are not much used today, but the oldest originated in Europe as early as the 15th century. A book with proof of ownership by an important or famous person obviously increases its value historically as well as financially, and there are examples of these in the Library’s book collections but if a note of ownership at the time of cataloguing is not made, it may be difficult to identify examples. 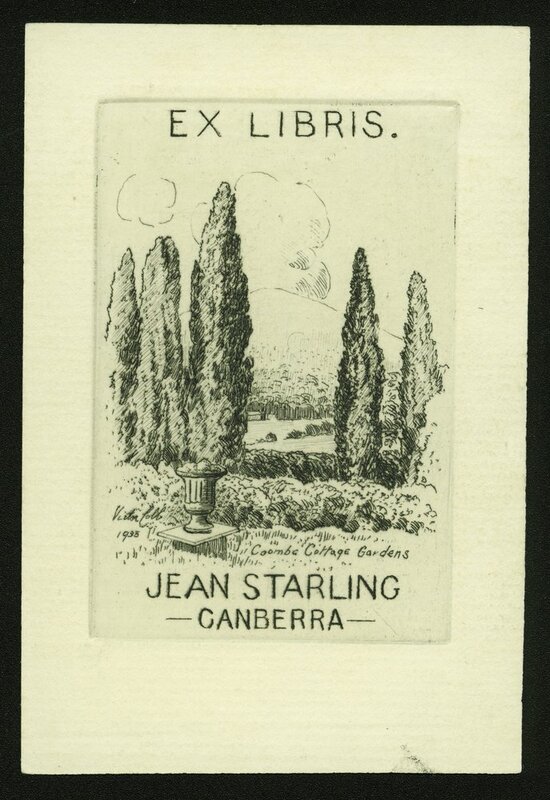 Collectors in the bookplate field do not put them into books at all, but prefer them loose. 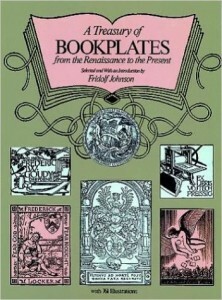 Bookplates may be collected by artist, on themes, and by ownership. 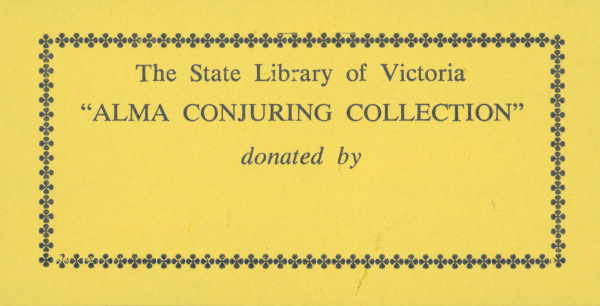 Most collections are privately owned, but the State Library has a number of small collections, and one medium sized one. Some have had a peripatetic journey within the building, from the Arts Library and History of the Book collections, and have finally found a comfortable home in the Pictures Collection. The largest collection – but medium sized by international standards -is that amassed by John Gartner, a Melbourne printer, publisher, numismatist, and philatelist. It is his second collection, the first having been destroyed with everything he and his wife owned in the 1983 bushfires at Mt Macedon. They nearly lost their lives as well, but were saved by taking cover in their swimming pool which was some distance from the house. Bravely, some months later, he and his wife Zelma travelled to Europe and began collecting again. 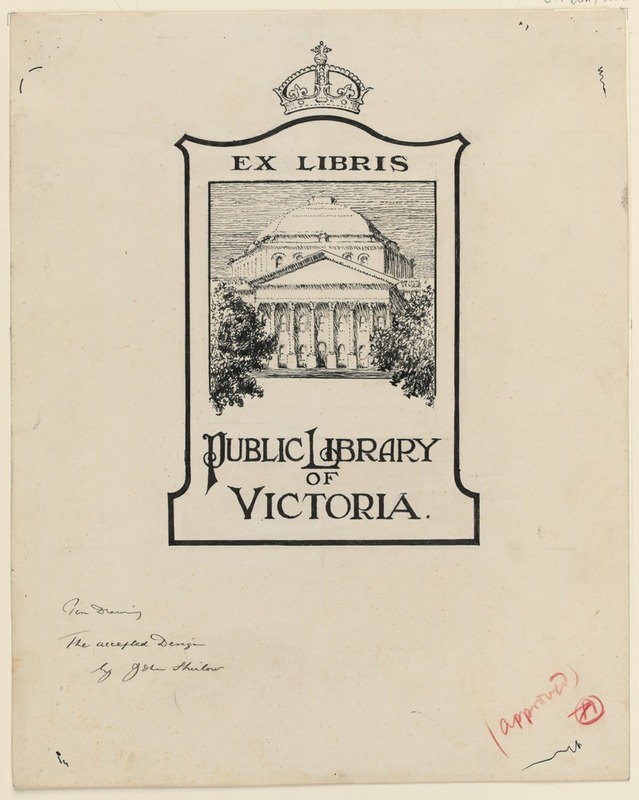 When Gartner died in 1998, his collection passed to a friend Michael Duffy in Sydney, and in 2001, it was given to the State Library under the Cultural Gifts Program. In 2007 I began working on the collection, turning it from private hoard to a publicly available resource. This has not been without difficulty, and it requires a certain amount of determination to inscribe the name of an artist, often two or three hundred times! Watch this space for a diary of progress towards the complete re-organization of more than 45,000 examples. 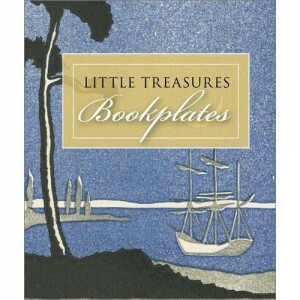 A few books to pique the interest; lots more available via our catalogue. An irresistible example from the Alma Conjuring Collection; the old rabbit in the hat routine! The rabbit and the hat bookplate was my grandfathers. I wish I had a few of these. They are fantastic and remind me so much of him.